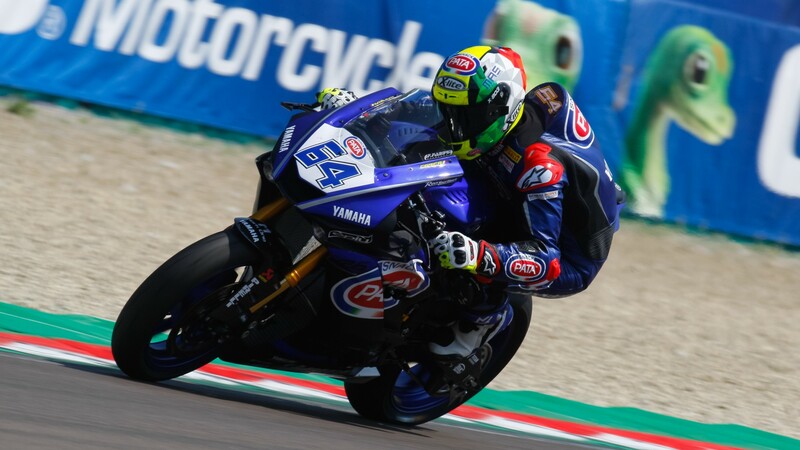 Federico Caricasulo (GRT Yamaha Official WorldSSP Team) pleased his Italian home fans on Friday with the fastest time in Free Practice, as the fifth round of the FIM Supersport World Championship got underway at the Autodromo Internazionale Enzo e Dino Ferrari di Imola. At the end of both sessions, it was a GRT double at the top. 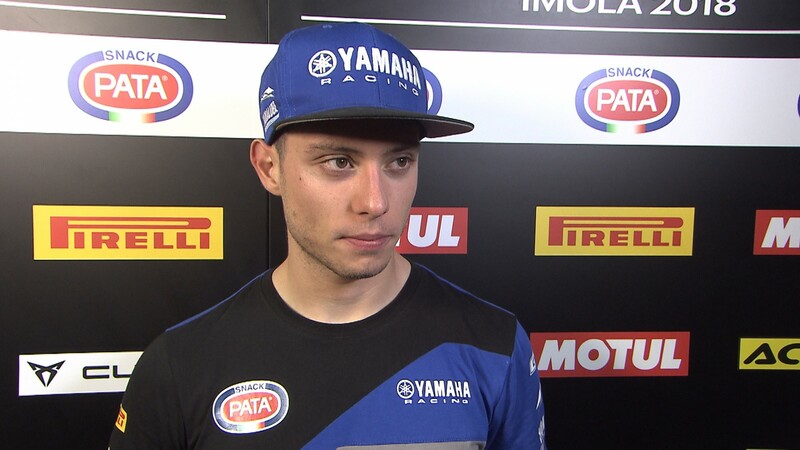 In FP1, Lucas Mahias (GRT Yamaha Official WorldSSP Team) was ahead of Caricasulo and the rest of the pack. 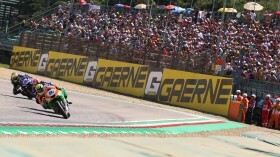 The Frenchman, however, was unable to improve in the second set of 50 minutes, while Caricasulo’s lap two minutes from the end was enough to push him ahead. 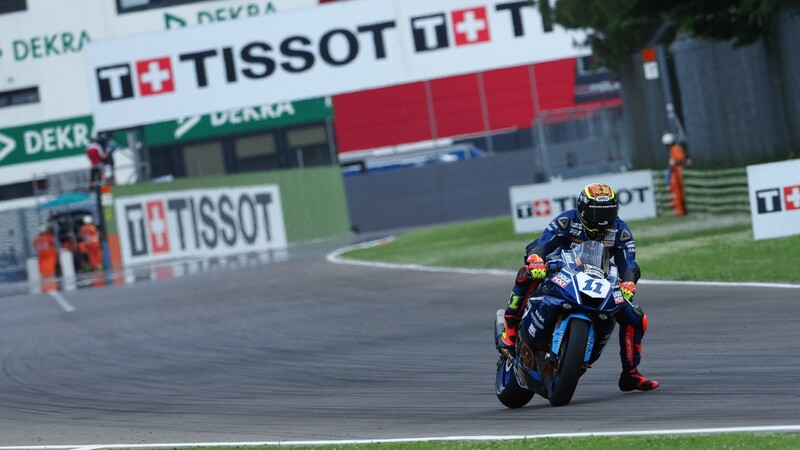 Behind the pair, Sandro Cortese (Kallio Racing) recorded the third fastest time of the day, with Jules Cluzel (NRT), coming off his win at Assen, in fourth. 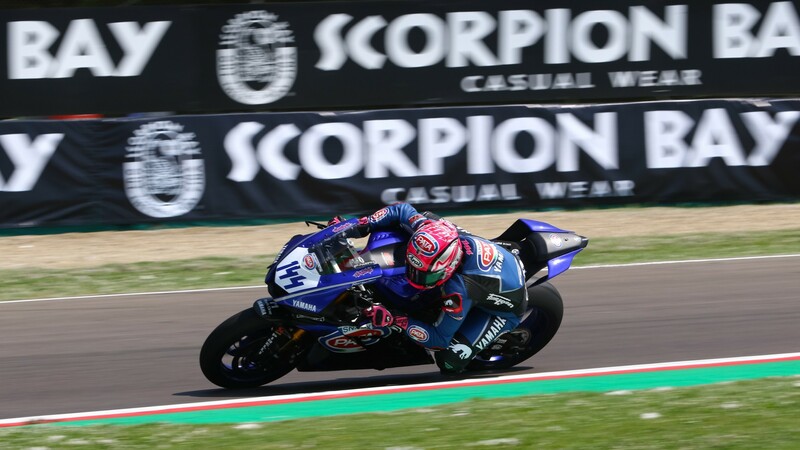 Randy Krummenacher (BARDAHL Evan Bros. WorldSSP Team), second in the championship standings, went down 13 minutes before the end of FP2, but still barely managed the tenth best time and will be in tomorrow’s Superpole 2. 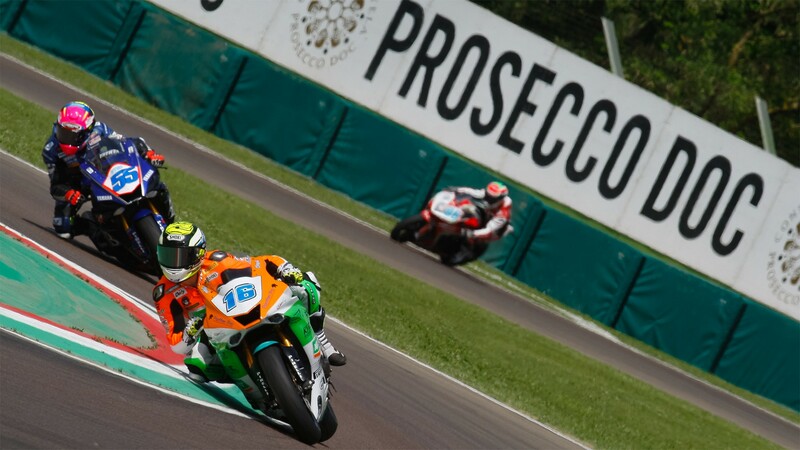 Five-time Imola racewinner Kenan Sofuoglu (Kawasaki Puccetti Racing) was out of the top 10 for most of both sessions, but a late spurt from the retiring WorldSSP legend left him back at the top, with the fifth fastest lap from Friday. 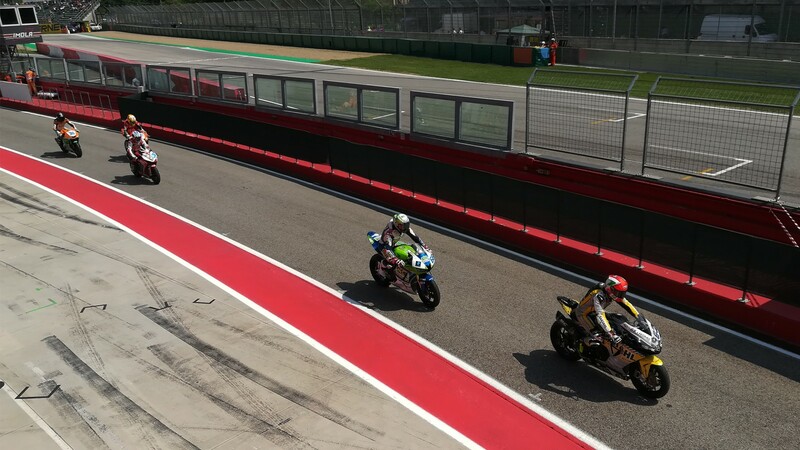 Raffaele De Rosa (MV Agusta Reparto Corse by Vamag), Luke Stapleford (Profile Racing), Ayrton Badovini (MV Agusta Reparto Corse by Vamag) and Hikari Okubo (Kawasaki Puccetti Racing) completed the top ten. All the action from the WorldSSP championship resumes tomorrow, starting at 14:00 (12:00 GMT) with the qualifying sessions. Catch the Superpoles 1 and 2, and much more, thanks to the WorldSBK VideoPass.